I've been finding more ways to use my coffee lately. As some of you guys know if you have been following along on Instagram, I am a huge coffee lover. I do some freelance work for Black Rifle Coffee Company which leaves me with bags of their delicious roasts! For memorial day, my fiancé and I headed out hiking for a few days with Moose which left us starving when we returned home! Neither of us thought to bring snacks so I figured why not create a caffeine packed delicious treat! I whipped up some Vegan Espresso Caramel my espresso from Black Rifle Coffee Company. 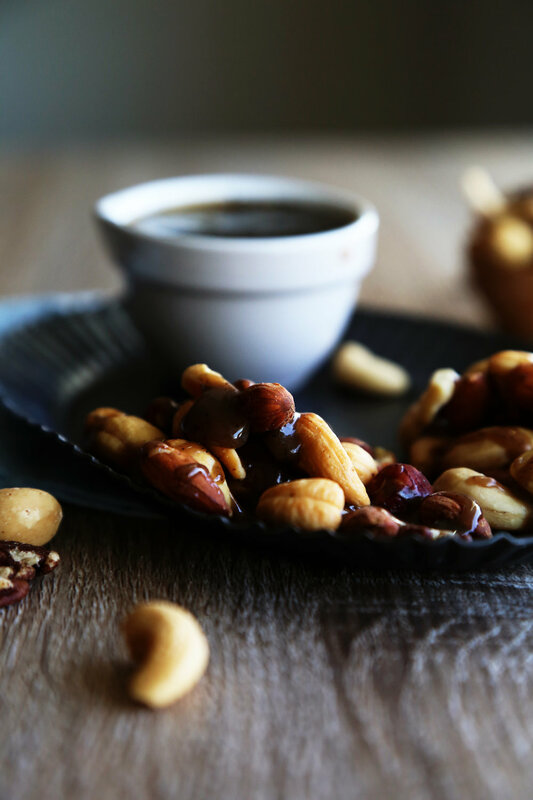 This is perfect to drizzle on nuts for caramel nut clusters, on your ice cream or even to sweeten your coffee!